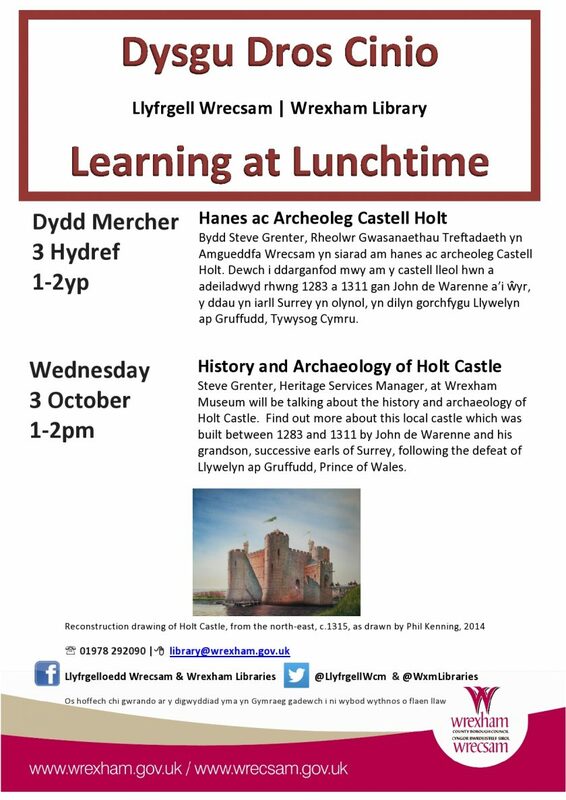 Steve Grenter, Heritage Services Manager, at Wrexham Museum will be talking about the history and archaeology of Holt Castle. Find out more about this local castle which was built between 1283 and 1311 by John de Warenne and his grandson, successive earls of Surrey, following the defeat of Llywelyn ap Gruffudd, Prince of Wales. Read 1,167,817 times in last 30 days, and 73,994,109 times since we started in 2011.